WrestleMania 35 clocked in at a record 7 hours and 15 minutes. When the sixteen-match card was revealed, it was expected that this year’s event would follow the trend of being longer than the last. New Jersey Transit wasn’t prepared though, thousands of fans were left stranded in the rain, due to the event finishing later then NJ Transit anticipated. The last train left MetLife Stadium a mere twenty minutes after Becky Lynch held up both of her newly won titles. It took some people up to three hours to get back to their destination. WrestleMania’s long runtime is not just tiring out the fans at home; it’s now causing chaos on city’s transport networks, which are not equipped to carry tens of thousands of people past midnight on a Sunday. The main culprit for WrestleMania’s extended runtime is their loaded roster. High profile talents such as Ali, Andrade, the Hardy Boyz and Braun Strowman could only get on the show through the annual battle royal, which is usually reserved for lower-card talent. Dave Meltzer plus other journalists and fans have called for WrestleMania to be split into a two-night event to accommodate WWE’s burgeoning roster and to save fans from sitting through another marathon. Multi-event big shows are not a new concept; New Japan does them all the time. The G1 Climax tournament final is held over three days and next year’s Wrestle Kingdom will be a two-night event at the Tokyo Dome. I’ve kept the same line-up as the real WM35 but with the bouts broken up primarily between their bands; it would be impossible to split them entirely between Raw and Smackdown due to the inter-brand matches. This is how I believe WWE would’ve presented the show if it were two nights (Angle/Corbin match included sadly). According to reports, Styles vs Orton was meant to be the original opener for WrestleMania, but it was changed at the last minute to Rollins vs Lesnar. Either match would’ve made for a great opener, and with two nights, both could’ve been. One of the few changes on this two-night card would be that Asuka remains Smackdown Women’s Champion and defends her belt as previously scheduled against Mandy Rose (who many websites reported as her opponent). I placed their match as the filler before the main event on Night One. It would’ve likely been a short match as Rose is not ready for a competitive bout on such a big stage. Consequently, the Lynch vs Rousey vs Charlotte match would have remained only for the Raw Women’s Championship. The “Winner Takes All” stipulation was dressing for an already compelling and momentous bout. 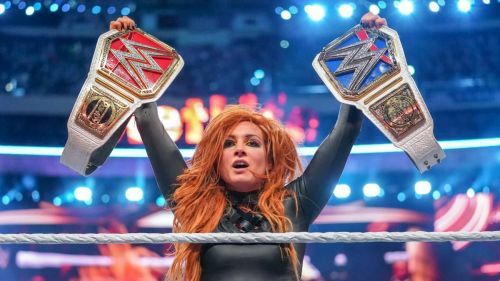 The ending of ‘Mania wouldn’t have been less historical if Becky lifted one belt rather than two. Also, Elias gets a two-night performance. 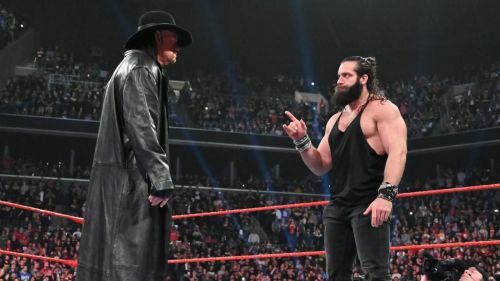 Elias’s run-in with The Undertaker occurred on next night’s Raw, but if WWE had two nights for ‘Mania, then The Undertaker could’ve chokeslammed Elias at MetLife instead of at Barclays Center. I slotted Elias’s second performance in-between the Batista /Triple H and Angle/Corbin match to give fans a breather. 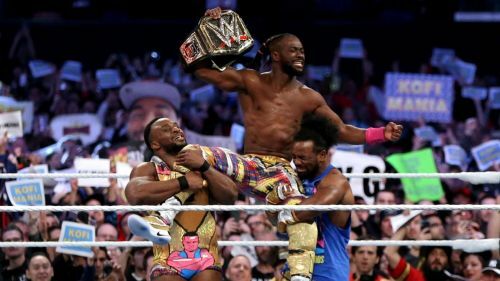 Any other year, Kofi’s WWE title win would’ve closed the show as he achieved something just as historic as the ladies when he became the first African-born competitor to win the company’s oldest prize. If ‘Mania were a two-night event, then Kingston could’ve got the big fireworks celebration to end the show. A Kingston win on Night One would’ve left fans buzzing for the following night's show, and WWE would’ve got some publicity for Kingston’s feat that would’ve translated into interest for Night Two. 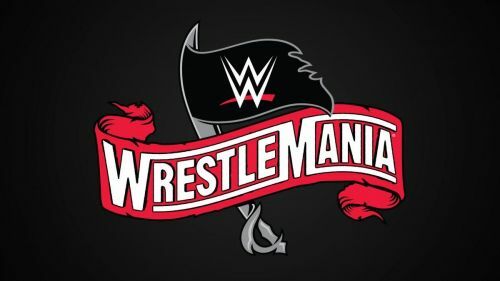 WWE put tickets for WrestleMania on sale around November, long before the card is announced and most of the tickets are invariably snapped up in minutes. While WWE is not reliant on one star to sell tickets, if WM35 were a two-night event, there would’ve been fans who only came for one night that would’ve been annoyed that they couldn’t see either Becky Lynch or Kofi Kingston. A way around this could have been to have segments with the big stars of the other night's show. For example, they could have had a contract signing segment for the Raw Women’s Championship match on Night One and have Kofi’s WWE Championship celebration on Night Two. If WrestleMania were two nights, fans may be concerned that each show would be too short with a reduced line-up. Before the runtime exploded, WrestleMania would typically run for 4-5 hours (including pre-show). However, with a less loaded line-up, the wrestlers could have longer more compelling matches. Balor vs Lashley was only 4 minutes, on a less-crowded card, the two could have had a much longer bout. The combined total of both ‘Mania’s would be around 10 hours, which is even longer then the show is now, except it would be in two manageable chunks. WWE fans would ultimately be getting more ‘Mania. If WWE is concerned about not having enough matches to fill two WrestleManias, there’s an easy solution: absorb NXT Takeover. By this point, NXT is WWE’s third brand, and if 205 Live can get a match at ‘Mania, then why isn’t NXT deserving of a place on the biggest show of the year? WWE has quietly dropped the numbers off ‘Manias since WM30. The show is simply “WrestleMania”. They could call the shows “WrestleMania Saturday” and “WrestleMania Sunday” without the need for any awkward numbers. The company’s primary motivation for a two-night WrestleMania would be financial, filling out a stadium two nights in a row would bring in big bucks for the company. Some travelling fans would be peeved that they must pay for two WrestleMania’s to get the full experience; however, this year’s ‘Mania ticket prices were the highest in the company’s history, but WWE still managed to attract over 80,000 fans (allegedly) to MetLife. An easy way to appease those irked fans would be to offer a discount for those who want to attend both nights. This has been the WrestleMania week schedule for a few years; the only difference is that NXT and the Hall of Fame flipped dates to avoid Takeover clashing with the G1 Supercard at Madison Square Garden. If WM were to be two nights, Takeover and the HoF would just move back one night. There would be concern that WWE would be stretching themselves too thin by doing six shows in the week, but the rabid fanbase who turn out and spend during ‘Mania week is proof that the interest is there. So, what do you think? Does WrestleMania warrant being a two-night show or shall it stay as a one-night event? Let’s us know what you think in the comments below!